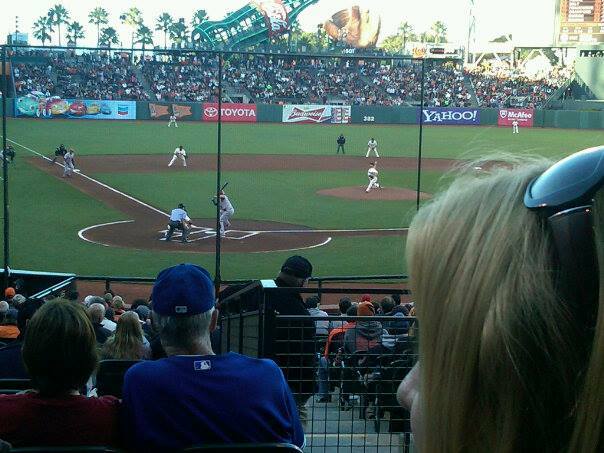 thanks to susan’s roommate’s mom’s boyfriend’s friend, we had these pretty spectacular seats. there were gluten-free hot dogs and hot chocolate when we got cold (protip: there is no such thing as bringing too many layers to at&t park), buster posey came out in the 7th inning, and a puppy licked my face on the way home. renting documentaries at lost weekend, cappuccino and reading at ritual, a digital detox reunion dinner at gracias madre, meyer lemon ice cream from bi-rite in a gluten-free cone, saying long goodbyes on a street corner.